As I begin this journey of 31 Days of Caring for Myself, I'm tempted to do all kinds of new and different things to demonstrate self-care. But a demonstration is not what I need. What I need is real practice. Maybe you do, too. I can care for myself by embracing routine. It's easy for me to get tired of the same old, same old, but routine is good for me! I can care for myself by being inspired by all the ways you strive to make your home a place of grace and love. Laura from House of Turquoise shared 11 Ways to add Fall to Your Home. Beautiful! While you're adding touches of Fall to your home, you might want something very fallish to eat. 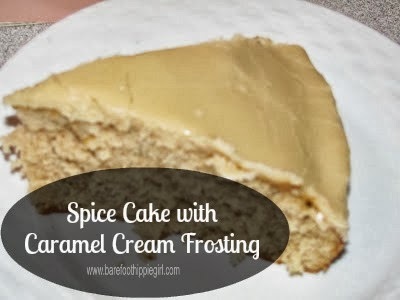 You should check out this recipe for Spice Cake from Barefoot Hippie Girl. Caramel Cream Frosting? Yes, please! For many of us, of course, Fall means football. from Chairs from the Curb shared an inspiring reflection from a college football game in "This is the Way; Walk in It." A wonderful post! And Becky Kopitzke from Time Out shared an encouraging devotional, "If You Think You're Small and Ordinary." Those are just a few of my favorites. Thank you to everyone who joined the party! I'm so grateful for each person who links up each week. If you've been featured this week (or in a previous week), feel free to grab the "I was featured" button (the code is right over in my sidebar). I'd be so proud if you displayed it! Whatever you do to make your home a place of grace, I'd like to hear about it. Here's what I ask of you. Please include the permalink to your post, not your blog's home page. Please let people know that you've linked up. No more than three posts per person, please. And visit at least one of the other party participants--that's what really makes it a party! Hi Richella! We're supposed to have cooler weather this weekend, so I'm definitely going to have to check out that spice cake with caramel cream frosting. Yum! Thank you for hosting! Hope you have a wonderful weekend! Lovely features. Thank you for hosting and have a wonderful weekend! Thank you so much for hosting. Enjoy the day! Thanks so much for hosting, Richella! 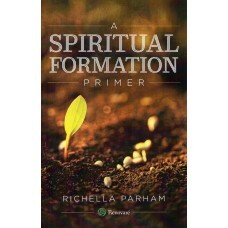 Thanks for the shout out Richella! Routine is VERY good. Lack of it really threw me off this summer & I'm still working to get back into it. Even though I'm at home during the day I still need to create a schedule or I'll run around in circles. It is actually the "thing" I'm working on in our Freedom Session class this year. Thank you so much for sharing and for continuing to host your awesome party Richella. Thanks so much, Richella, for featuring my fall decor roundup. :) I could stare at some of those beautiful images all day long. But then I wouldn't get anything accomplished. Ha! I just added your button as well. Have a great evening! Hi Richella! Thanks so much for hosting such an Inspiring Party and Blog!! So happy I was able to come and join in on the fun with you today!! God Bless you and I'm sending prayers as you learn better to care for your body and soul. We all need to nurture ourselves and our walk with Our Lord. What an honor that you've shared this act with your readers. Thanks for hosting Richella. Hugs and blessings in your journey. I have a friend -we hold each other accountable to get back to our "binders". Our binders are where we keep all of our household routines organized. We both find, as you say here, that staying in our best routine (doing what we know needs to be done when it needs to be done) is the best thing to do to take care of ourselves. Sometimes it doesn't feel like that should be the case but it always proves to be true! 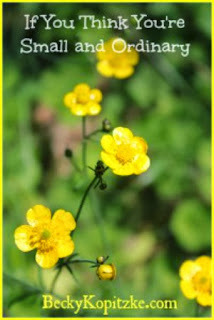 Blessings as you seek to take care of yourself-- a worthy endeavor! Love this party! I wish I could get a post to link every week! I hope you are having a good time on your trip. Thanks so much for hosting the party!